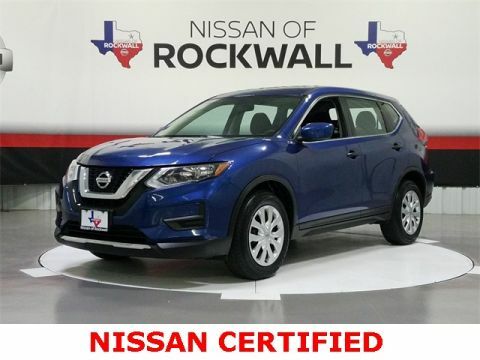 Nissan Certified Pre-Owned, 4 Speakers, 4-Wheel Disc Brakes, ABS brakes, Air Conditioning, AM/FM radio: SiriusXM, Anti-whiplash front head restraints, Blind spot sensor: Blind Spot Warning (BSW) warning, Brake assist, Bumpers: body-color, CD player, Cloth Seat Trim, Driver door bin, Driver vanity mirror, Dual front impact airbags, Dual front side impact airbags, Electronic Stability Control, Four wheel independent suspension, Front anti-roll bar, Front Bucket Seats, Front Center Armrest w/Storage, Front reading lights, Illuminated entry, Low tire pressure warning, Occupant sensing airbag, Outside temperature display, Overhead airbag, Overhead console, Panic alarm, Passenger door bin, Passenger vanity mirror, Power door mirrors, Power steering, Power windows, Radio data system, Radio: AM/FM/CD/AUX, Rear anti-roll bar, Rear seat center armrest, Rear window defroster, Rear window wiper, Remote keyless entry, Security system, Speed control, Speed-sensing steering, Split folding rear seat, Spoiler, Steering wheel mounted audio controls, Tachometer, Telescoping steering wheel, Tilt steering wheel, Traction control, Trip computer, Variably intermittent wipers, Wheels: 17" Steel w/Full Covers. 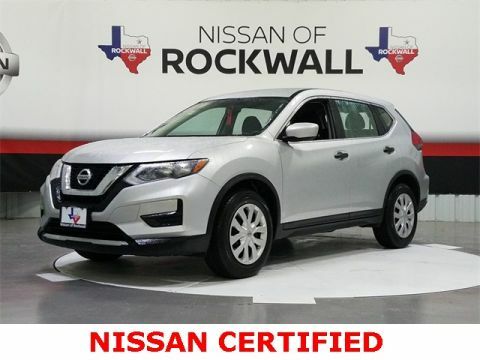 Our Sales, Service and Parts Departments work closely together to provide you with the most enjoyable, least stressful car-buying experience possible. The average tenure for our sales people, managers, technicians, and all other employees is over 20 years. Most of them have been career employees of our Automotive Group - and with that much experience, you can be sure they'll provide you with the highest quality care for you and your vehicle. We are also proud to be a Better Business Bureau Accredited Business with an A+ rating. We are dedicated to making the car buying process as easy as possible for our customers. 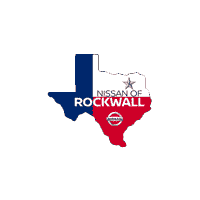 With outstanding customer services, Nissan of Rockwall is your premier Nissan dealer in the Dallas, TX, Garland, TX, Greenville, TX, McKinney, TX, Mesquite, TX, Rockwall, TX, Rowlett, TX, Royse City, TX, Wylie, TX, areas. 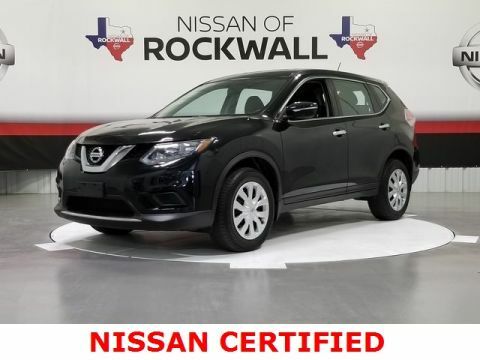 When you are looking to buy a new or used vehicle, we have a lot of information for you to help you make your decision. From financing information to research on all of the new car models we sell, there’s something for everyone on our site. If you still have questions, don’t hesitate to send us an email or contact us and our dedicated team will be glad to help you out. 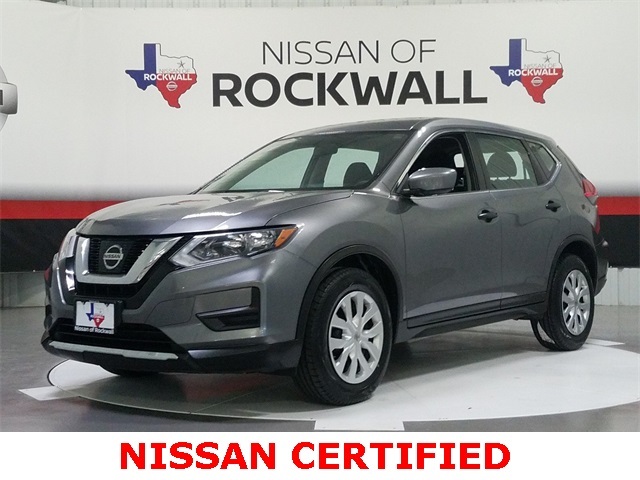 When you have found something you are interested in please feel free to get a price quote, evaluate your trade, apply for credit, or even save money by checking out our new car specials or used car specials.